Preheat oven to 450. In a small bowl combine butter, parmesan and garlic. Make deep, even cuts into bread, about 3/4 inch apart, without cutting through bottom. Spread the butter evenly between the cuts and place a slice of cheese in each as well. 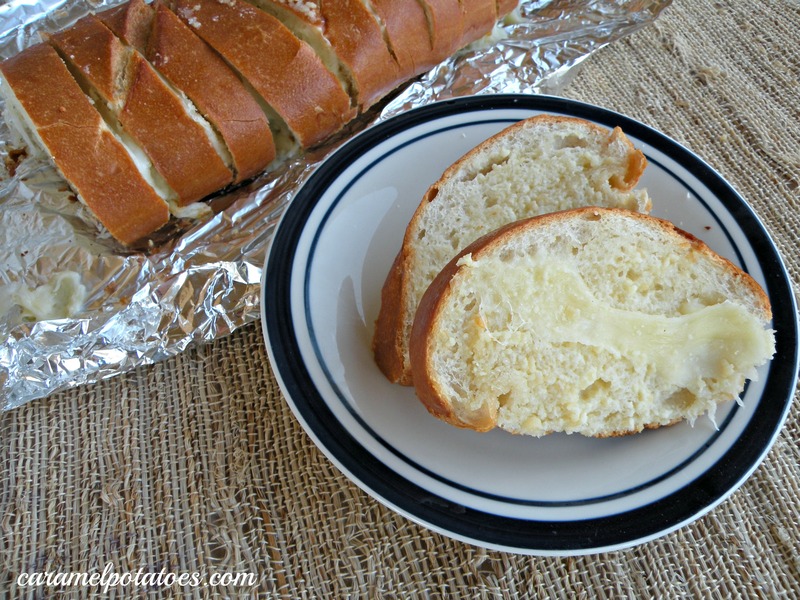 Tightly wrap bread in aluminum foil and place on baking sheet. Bake until cheese is melted, about 20-25 minutes. Unwrap and let cool slightly before serving. Found this on Pinterest…can’t wait to try it!